As industries adopt consumer-focused product development strategies, they should offer broader product ranges in shorter design times and the processes that can manufacture in arbitrary lot sizes. In addition, they would need to apply state-of-the-art methods and tools to easily conduct early product design and development trade-off analysis among competing objectives. Methods in Product Design: New Strategies in Reengineering supplies insights into the methods and techniques that enable implementing a consumer-focused product design philosophy by integrating design and development capabilities with intelligent computer-based systems. The book defines customer focused design and discusses ways to assess changing demands and sources, and delves into what is needed to successfully manufacture goods in a demanding market. It reviews proven methods for assessing customer need. Then, after showing how changing needs impact the reengineering of products, it explains how change can be efficiently achieved. It details how IT advances and technology support customer-focused product development, discusses cutting-edge mass customization principles that maximize cost-effective production, and illustrates how to implement effective predictive maintenance policies. 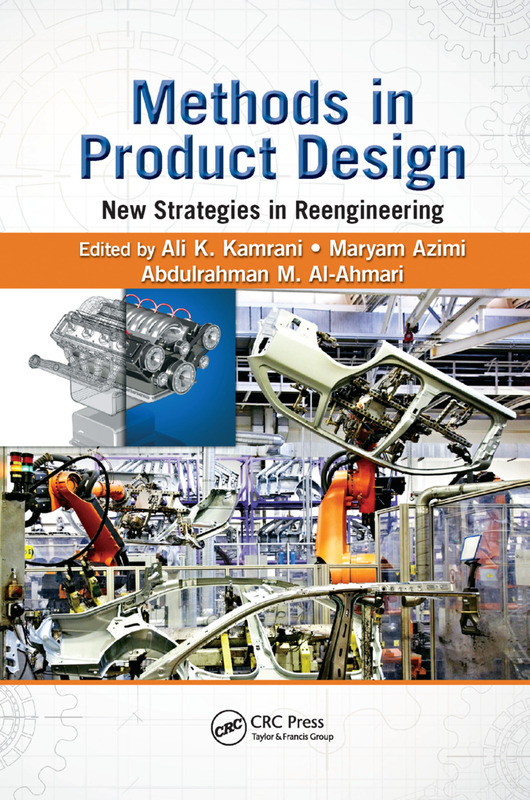 Methods in Product Design: New Strategies in Reengineering provides methods, state-of-the-art technologies, and new strategies for customer-focused product design and development that allow organizations to quickly respond to the demanding global marketplace.